WASHINGTON CITY — One person was injured after police say a driver failed to yield when pulling out of a parking lot at the Green Springs Shopping Center Sunday afternoon. 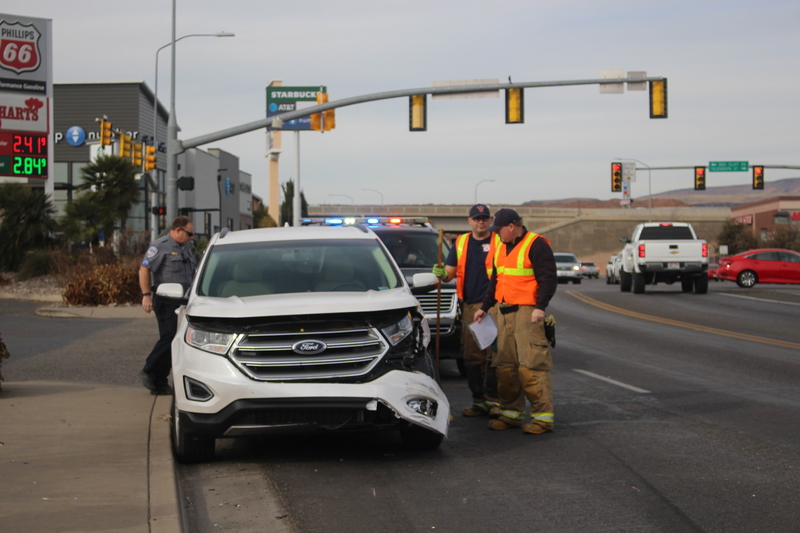 Washington City Police responded to the incident involving a white Ford SUV and a silver Dodge pickup truck just south of the intersection of Green Springs Drive and Telegraph Street at approximately 1:30 p.m. The driver of the SUV was preparing to exit the parking lot of the Hart’s Gas & Food store and head north onto Green Springs Drive as the driver of the pickup was southbound on Green Springs Drive, Washington City Police spokesman Ed Kantor said. 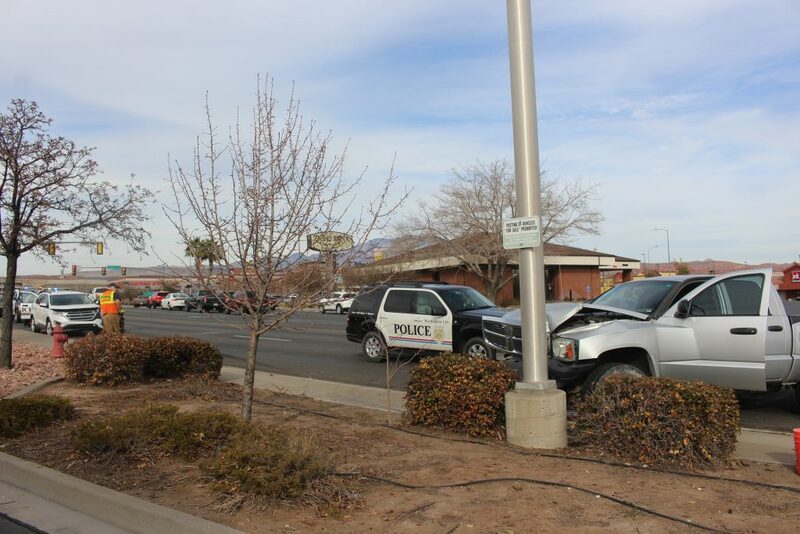 As the vehicles collided, the pickup glanced off the SUV, causing the truck to spin around and crash into a light pole. Medical personnel from Gold Cross Ambulance arrived shortly after the crash to evaluate the drivers. 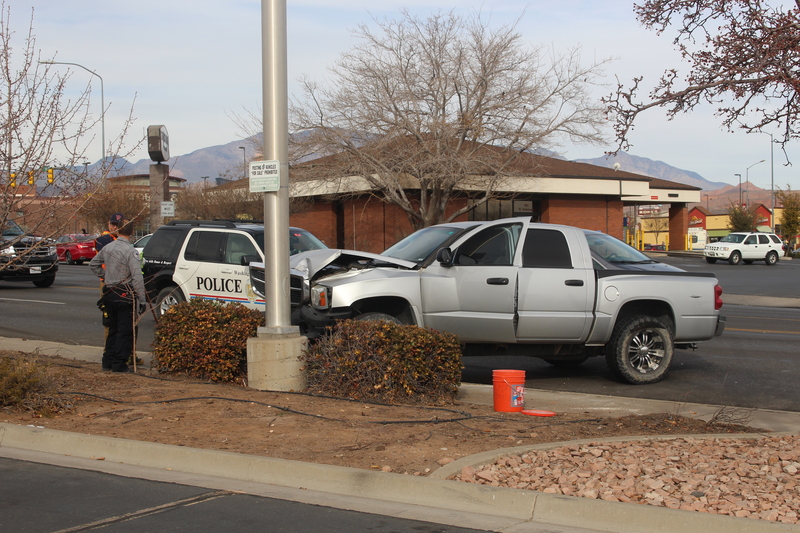 “The driver of the pickup truck was transported by ground to DRMC for evaluation of unspecified injuries,” Kantor said. 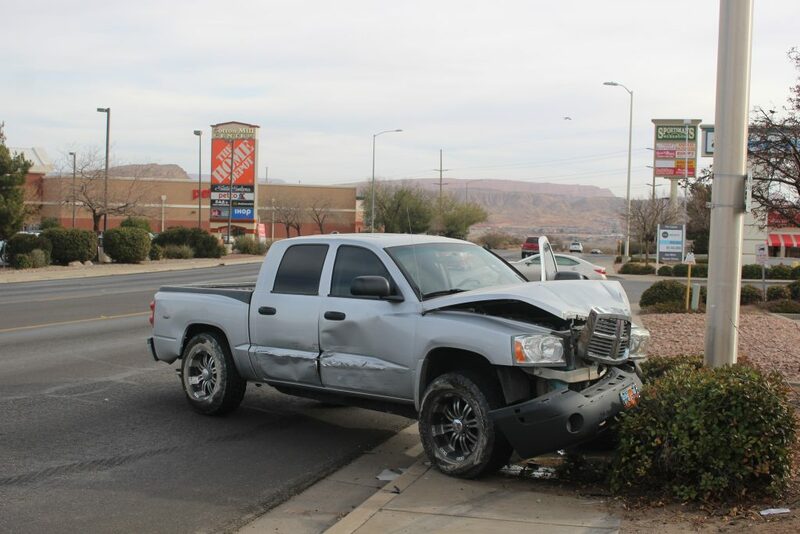 No other injuries were reported, and everyone involved was wearing a seat belt. “The driver of the Ford SUV was cited for failure to yield the right of way on a left turn,” Kantor said. Emergency personnel from Washington City Fire Department also responded to the incident.